We’re are always looking for the next BIG thing, the new trend, THE hot product. Whatever you like to call it, it’s out there waiting to be discovered. After putting together our shared notes from the NAMM show we realized that we might already have that product! The StompHead from Taurus, the originator’s of the new “floor amps” category, breaks the “where to put your amp rule” and has started what we believe will become an industry leading revolution. The advantages of having your amp where you can see it and control it are obvious and coupled with our stomp design completely upends conventional thinking. Never before have guitar players had this much control of their sound in such a small, light and portable package. Osiamo, the company that has forwarded the micro pedal revolution into the collective musical consciousness, is now championing the StompHead. Randall Amps and BluGuitars have already responded and introduced their own take on the genre. And there is a rumor that TC Electronics (always late to the party) is about to jump on the band wagon as well. The SIMPLE Reasons why you need a StompHead from Taurus. Small. Easy to fit next to your pedal board on stage. Ingenious. Proprietary design includes tube and tube modeled power section. Mobile. Easy to pack for Fly dates or gigs around town! Powerful. And Loud. Up to 70 Watts of power! Light. Won’t break your back. Ergonomic. Your tone at your feet, always. Click here to take a closer look now at the range of Taurus Stompheads. We think you’ll find in the Taurus StompHead just what you’re looking for. The future is here, set a course to join us. I am guitarist / recording artist living in New York. I have 5 CDs out either on the Fountainbleu or Naim labels- the last recording, “After Hours”, I released independently. I have played a lot Blues, Soul, Jazz and Gospel music with a wide variety of artists. I have been fortunate to have been able to work and travel as much as I have in my career. As for what I see in the future in music- I guess there is already a bit of a divide between the “product” that gets churned out by the major record companies, some of which is great, but a lot is nonsense – and actual heartfelt music which will find its own audience. Kinda like fast food or factory farmed food, which gets pushed on us versus organic food which people want and have searched out to the point that organic and non GMO foods have become an industry on their own. As far as my own music education I am a self taught musician. I did have many people help me in an informal way, notably guitarist James Clark, but there have been many others. If you are following this path, keeping your mouth shut and ears open is a good rule to follow. It would be nice to see music education make a bit of a comeback in public schools. I have a steady gig ay a place called Arthur’s Tavern here in NYC. I want to record that band, maybe do a live disc, I also want to do a “family band” recording with my wife who sang on ‘So Many Streams” my third disc, my son who is very busy as a bass player in New York and plays on one song on “After Hours” and my daughter who sings and plays with a group called “Small Wonder”, as well as doing her own gigs under the name, “Yours are the Only Ears”. Thanks for reading our interview with Stew. We really appreciate you checking out our site and your interest in Mooer pedals. This weekend use this code MOOERSC and get free shipping (US orders only) on your purchase of any Mooer pedal. Click below to start shopping. NEW YORK, NY – December 21, 2012 – At NAMM 2013 in Anaheim, CA, Osiamo LLC introduces to the US market 12 new Mooer Micro effect pedals. New for the start of 2013 are the ABY (channel switch), Acoustikar (acoustic simulator), Blues Mood (classic blues overdrive), Fog (bass fuzz), Funky Monkey (auto wah), Graphic B (5 band bass EQ), Graphic G (5 band guitar EQ), Gray Faze (vintage fuzz), LoFi Machine (decimator effect), Repeater (digital delay), Rumble Drive (overdrive), and Solo (distortion). The Mooer micro line now features 36 pedals. All Mooer micro pedals feature compact size (less than 1/2 the size of a standard pedal), true bypass switching and many utilize rare or difficult to source chips that replicate classic effect pedals sounds. Most Mooer Micro pedals have a suggested retail of $99 (MAP $88). The compact size, light weight, quality sound and low price make this a sure hit for the 2012 holiday season and beyond. We’d like to take this opportunity to introduce our new Head of Sales, Jeremy Johnson. Jeremy brings with him almost 20 years of sales experience; the previous 9 years were spent managing DiMarzio’s inside sales. Osiamo LLC is proud to announce we share space with Phil Jones Amplification in their Clifton, NJ Showroom. The entire Osiamo product line is on display. Full Mooer and Taurus pedal boards are available along with R.Cocco Strings, UltraStraps and Pickboy Picks. The New StompHead Guitar Amp from Taurus and the Mooer Little Monster AC are also powered up for auditioning. Also on display are Xotic Pedals, Guitars and Basses as well as Phil Jones Bass Amps and Air Pulse Guitar Amps. The Showroom is available by appointment only so please contact Brand Mgr. Rawn Randall @ 917-464-3772 or send him an email rawn (at) osiamo.com. ‘Da Space’ is located at 45 East Madison Ave Room J Clifton, NJ 07011. NEW YORK, NY – May 21, 2012 – At Summer NAMM 2012 Osiamo LLC introduces to the US market Mooer Micro effect pedals. The micro pedals feature compact size (about 1/2 the size of a standard pedal), true bypass switching and utilizing many rare or difficult to find chips that replicate classic pedals effects, sounds and tones. Mooer Micro pedals have a suggested retail of $99 and are sure to be a hit with players looking to add just one more pedal to their already crowded pedals boards. The current lineup includes the Ana Echo (analog delay), Black Secret (distortion), Blade (distortion), Cruncher (high gain distortion), Ensemble King (chorus), Green Mile (overdrive), Hustle Drive (drive), Pitch Box (harmony/pitch shift), Shim Verb (digital reverb), and the Ultra Drive (distortion). Mooer has plans to add 40 pedals to the line for a total of 50 pedals. NEW YORK, NY – June 12, 2012 – Pickboy has added a new natural series of conducting batons. 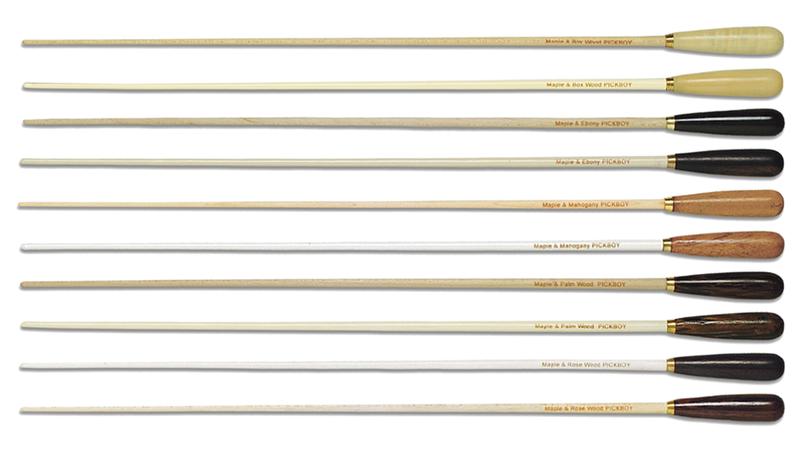 The line features lightweight maple shafts in both white or natural finish and a comfortable grip that is available in box wood, ebony, mahogany, palm wood or rosewood. The batons are available in three lengths: 320mm, 340mm, and 380mm. Suggested retail starts at $31.50. 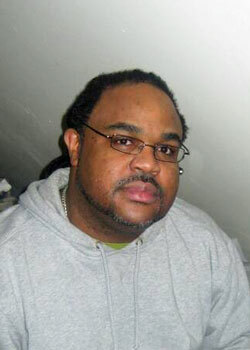 Pickboy designed the series with classical music enthusiasts and “arm-chair” conductors in mind. The batons have many professional features: light weight, good balance, comfortable grip; on top of that the batons look great. Not only are these nice batons but they also make great gifts and conversation pieces. Click here to download zip file with Word DOC and images.